There’s no doubt inbound marketing can transform businesses. It can help small businesses that are struggling to survive in a competitive world get better brand awareness and generate more leads. However, inbound marketing, on its own, doesn’t always produce the greatest results. It doesn’t matter how many leads a company generates and nurtures if its salespeople cannot close them into customers. This is a problem that was all too real for our client, All Wildlife Removal Inc. We realized inbound marketing simply wasn’t enough. We soon realized the client required sales enablement services as well. All Wildlife Removal Inc. had a unique value proposition: It offered humane animal removal services with a 5- to 10-year guarantee. There was year-round demand for its services and a never-ending list of potential customers. However, the company still struggled to generate business. Its current attempts at marketing simply weren’t working. They were over-spending on PPC ads without seeing a return on investment. Its website was outdated and cluttered and wasn’t built to convert. Although the company did blog, its efforts weren’t consistent and its messaging wasn’t clear. Its social media presence was also quite limited, and thus, didn’t help matters. In addition, the company also had no way to see customer activity because it didn’t keep track of its sales data. When we took on this client, we focused on improving the company through inbound marketing. We drastically reduced PPC spend and optimized their campaigns. We cut their PPC spend from $12,000 a month to $1,500 a month with no impact on leads. We designed a new website that was built for conversion. Though we kept the existing content, we refined the messaging, re-organized the sections, and made the website more user-friendly and appealing. We also started blogging frequently to bring in leads. 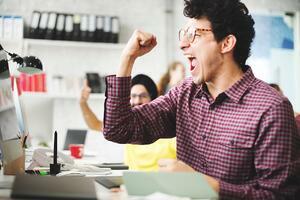 It didn’t take long for our inbound marketing efforts to turn into quantitative results. Though many companies only see results from inbound three to six month down the line, All Wildlife Removal Inc. had over 30 days’ worth of home inspections booked within a week of launching its new and improved website. 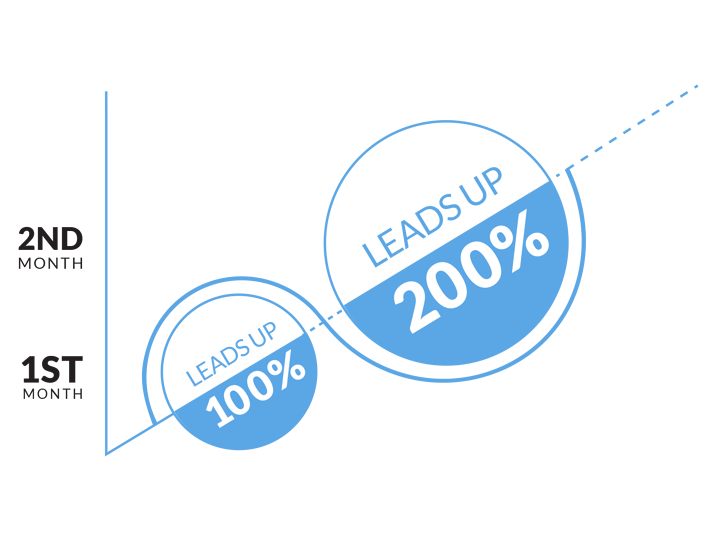 Within the first month, leads were up over 100%, and by the second month, they were up over 200%. The epitome of a success story, right? Well, actually, not quite. Almost immediately, we were generating 100 leads a month for All Wildlife Removal Inc. Though this seemed like great success, there was still a looming problem. The client would call every three months saying they were still experiencing major cash flow problems! How could this be? Inbound marketing was working like a charm. The metrics proved it. All results pointed to success! We realized, though, a piece of the inbound puzzle was missing. 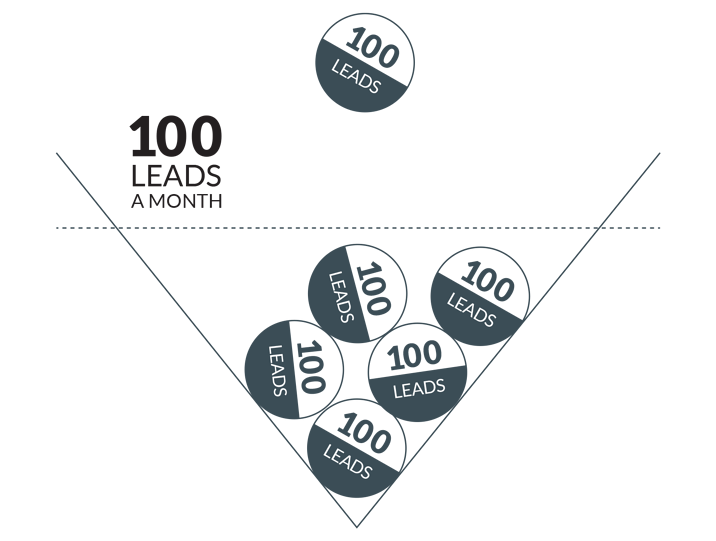 The problem wasn’t with the inbound marketing activities we implemented—it was with sales. Fortunately, SalesHub is not only an inbound marketing agency, but specializes in sales enablement as well. To find a customized solution for this client’s sales problem, we first had to diagnose the issue. We looked at the client’s compensation model. We looked at its payroll numbers for the past six months for all of its salespeople. And we determined its sales reps were getting paid even if they weren’t closing deals! Of course, this model simply didn’t work and was causing undue financial pressures on the company. 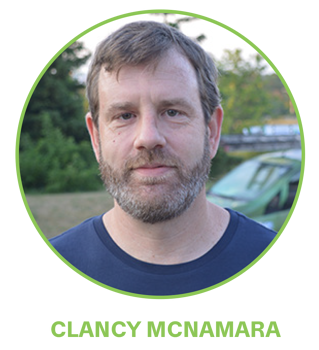 "We knew they needed more than inbound marketing," explained Matthew Cook, CEO of SalesHub. 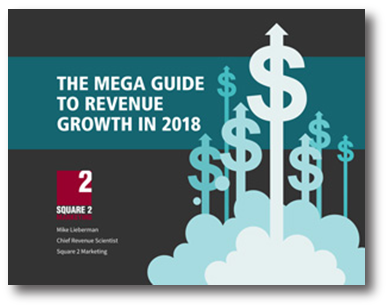 "They needed help with their sales compensation, sales processes, and sales team, which led to an increase in margins and profitability and ultimately a much better business model for them." To fix the problem, we suggested a new compensation model where sales people received a pre-determined commission amount per job order. If one person closed the deal, he received the entire amount. If three people worked together, they split the amount equally. With this new model, the company had margin and didn’t have to worry about not making payroll anymore. We also sought out new ways to improve the sales department. Through our sales enablement efforts, the client was able to reduce headcount as well as streamline the sales process by removing an unnecessary step. The client originally had two inside sales reps triaging inbound calls. We eliminated this position and set up a VoIP phone system to reroute calls directly to sales people in the field. To ensure the company’s sales reps were able to effectively close these inbound leads, we also implemented sales training and sales coaching. And to help streamline the sales process even more for greater efficiency and effectiveness, we offered the client the professional package on HubSpot plus HubSpot Sales. We set up their deals pipeline in HubSpot CRM, defined their sales process and mapped it out in the CRM, trained their staff to use the CRM and sales tools, and set up follow-up email templates for ease of use. 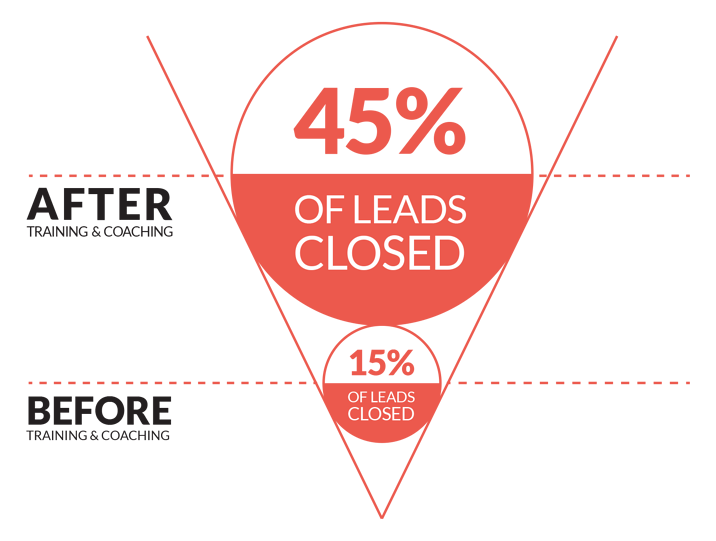 The client went from closing a mere 15% of leads to a whopping 45% of leads after sales training and coaching. We are currently in the process of switching the client's manual scheduling system over to the HubSpot Meetings tool for all the sales reps. We want to take the hassle out of booking inspections and appointments. With simplified scheduling, sales reps' calendars stay full so they can stay productive. Implementing inbound marketing was a great starting point for All Wildlife Removal Inc. This move significantly improved the company’s brand awareness and thought leadership and increased the number of leads it received. The improvement in results came quickly. The client, however, was still struggling with high sales costs and a broken sales process, which put the company’s life in jeopardy. By executing sales enablement services through the use of HubSpot CRM and HubSpot Sales, with sales training and coaching, and with our unique sales enablement expertise, we were able to improve and streamline the sales process in order to cut costs and improve results. "Eight months ago we hired Saleshub to redo our website and take over our content marketing and SEO efforts," said All Wildlife Removal Inc. technician Clancy McNamara. "As advertised they more than exceeded our expectations in these areas. However, where they really blew us away is in helping us rethink every single aspect of our sales process. From changing to incentive based remuneration for our sales staff to helping us overhaul our entire sales cycle, Matt and his team have proven to be the key element our business was missing to take that next step." 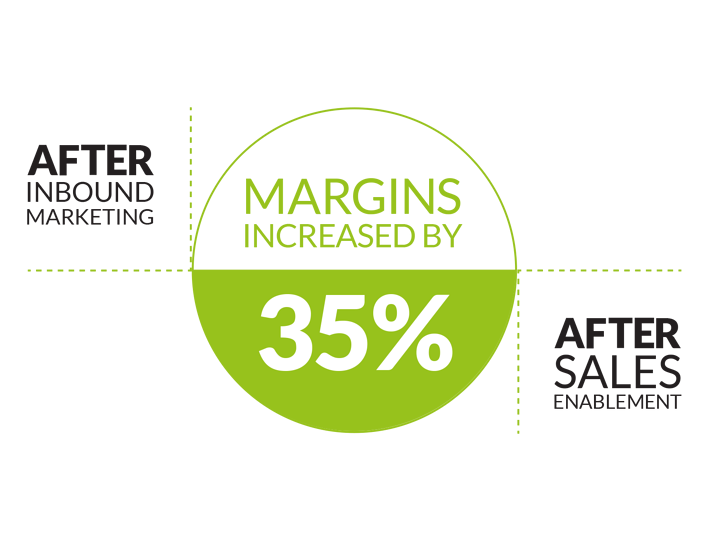 By implementing inbound marketing and sales enablement, our client's margins increased by 35%. The significant impact made on the company wouldn’t have been possible with inbound marketing alone. By adding the missing puzzle piece and including sales enablement services to our offering, this client was able to maximize its profitability. Now, ongoing inbound marketing activities continue to generate leads, while the client’s sales team is fully prepared to close opportunities.